Nothing says Easter like Peeps candy. Even if you have never tasted the hot pink sugar-coated goodness of these little marshmallow bunnies (or chicks), you are familiar with their iconic shape. I thought I would save a few calories and weave a Peep rather than eat one. Now if only I could figure out a way to weave a Cadbury Cream Egg I’d really be set. Draw a Peeps bunny. Needless to say, this was not hard. 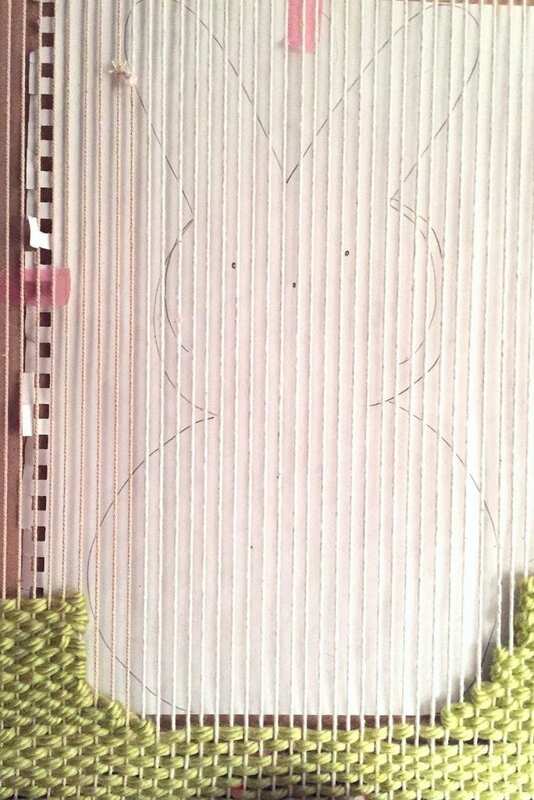 I taped the drawing to the back of my loom to use as a guide. 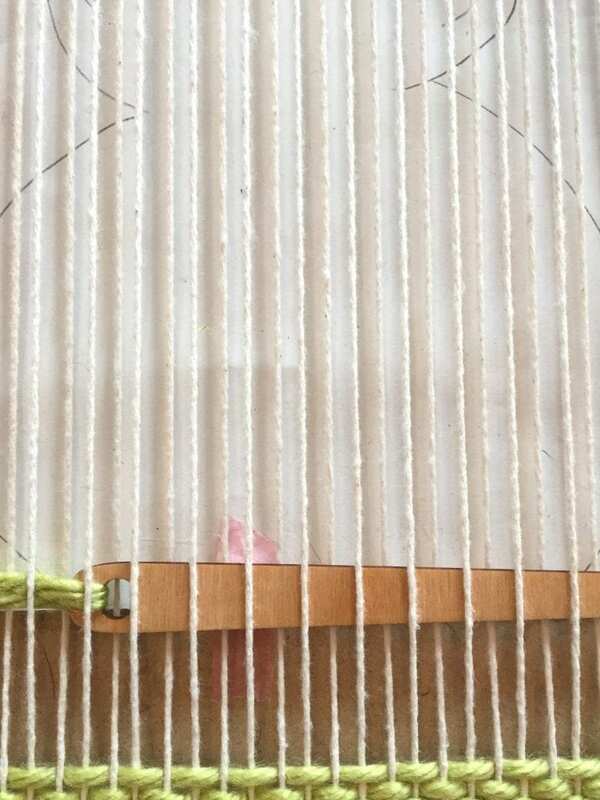 Use white twine to create the warp. This is the thread you will weave on. Refer to my woven journal cover tutorial for a more detailed guide to weaving. 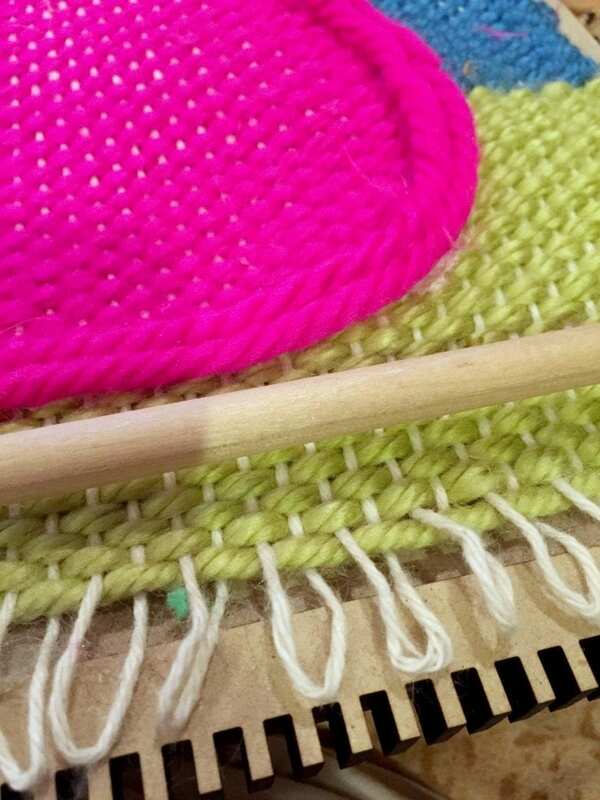 Starting with your green yarn for the grass, begin following your pattern with the weft. The weft is the yarn you are weaving with. Over and under, over and under. I used thicker yarn because it makes things go much faster. 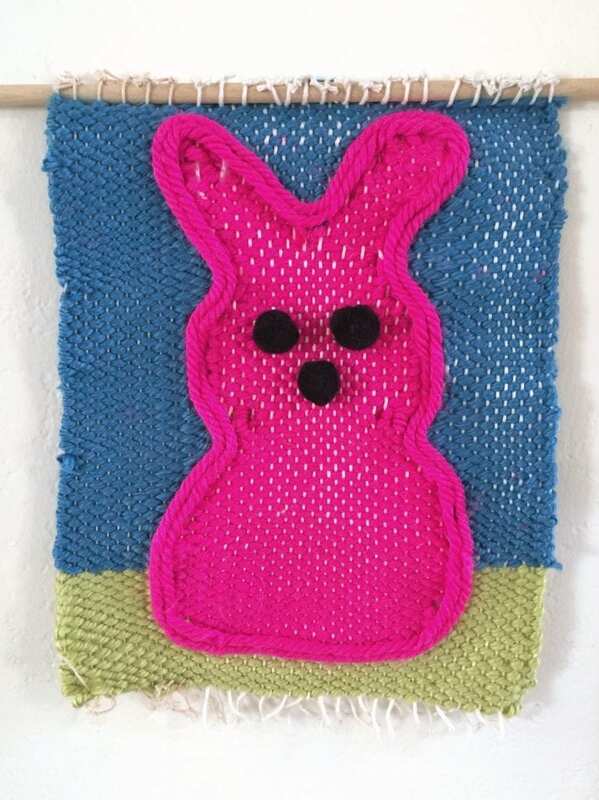 Continue with the green yarn following the outline of your bunny until it is time to switch to blue. 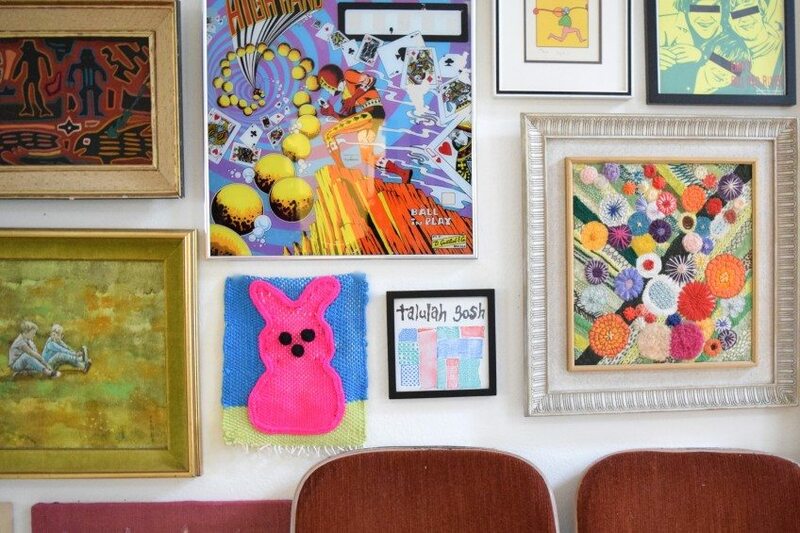 The trickiest part of this project were the curves of the bunny and where different colors met up. It’s a Peep people, it does not have to be perfect. 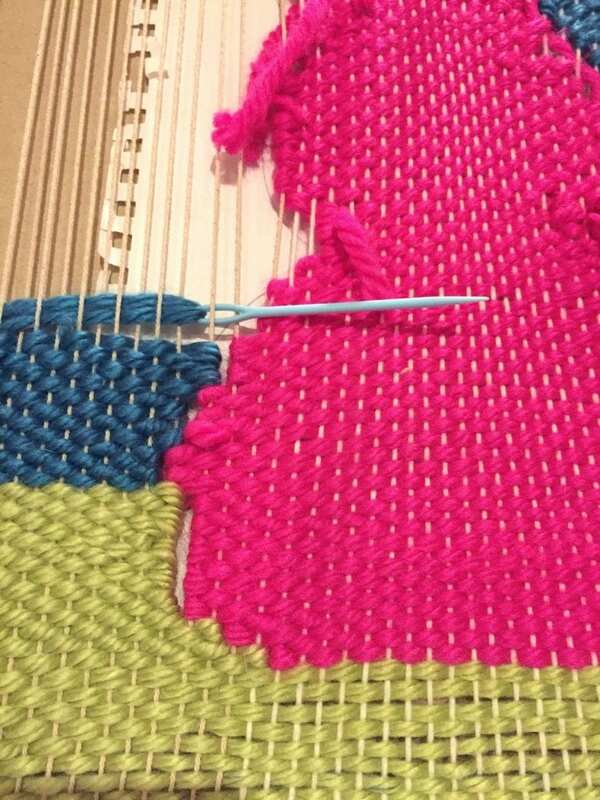 As you near the end of your Peep you may have gaps in your weaving where the colors meet. 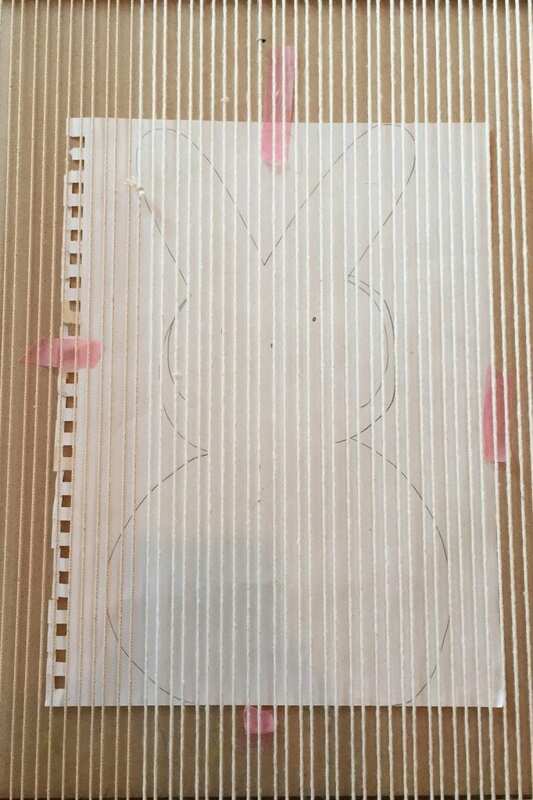 Use craft glue to outline your bunny. Also attach pompoms with craft glue for eyes and a nose. 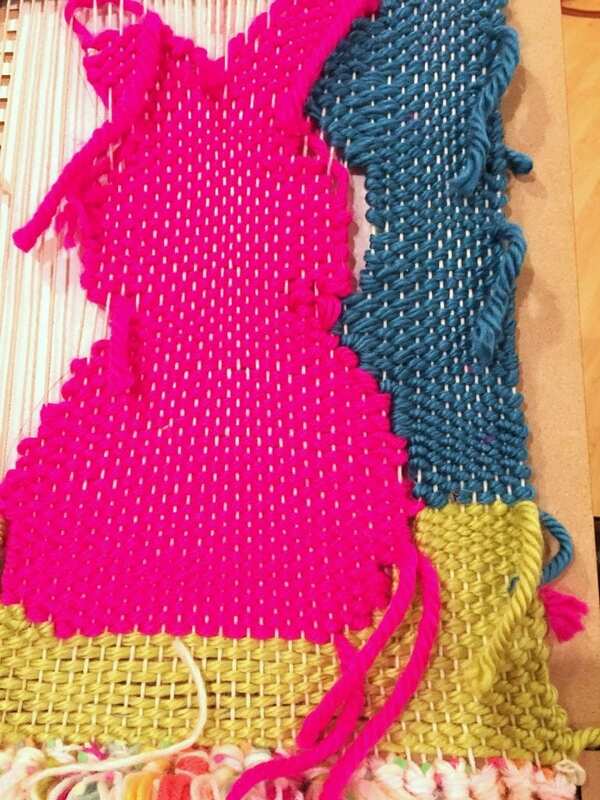 If you would like to put your weaving on a dowel for hanging, now is the time. Cut your warp off the loom and attach. 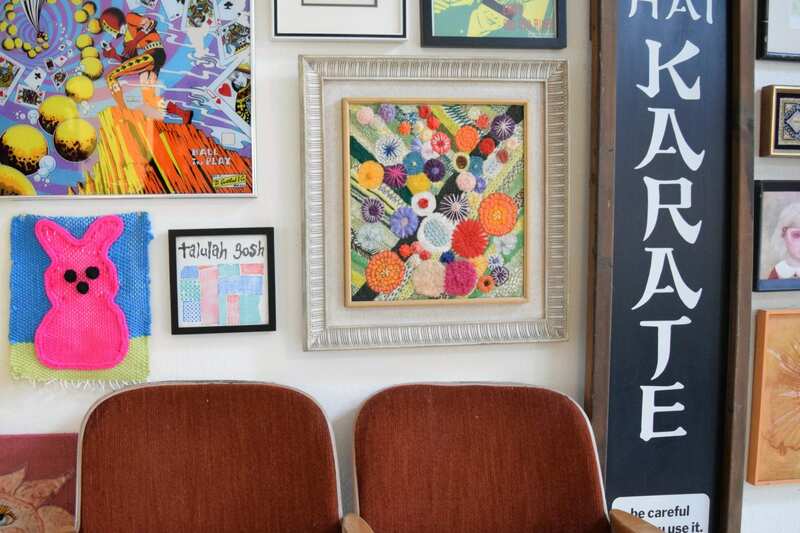 Sneak that bad boy in to your gallery wall for some seasonal fun! I did. Posted March 21, 2016 & filed under Crafts, Easter, Holidays, Needle Crafts.